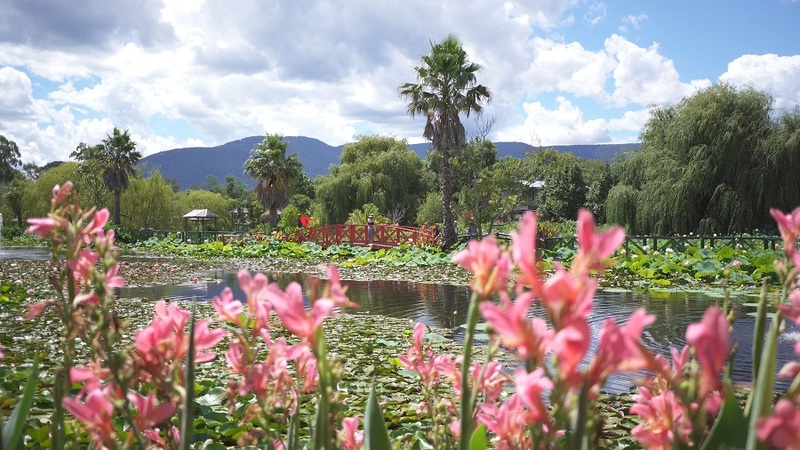 Walk into a colourful new world of lotus and waterlilies in Melbourne’s Yarra Valley at the Blue Lotus Water Garden. 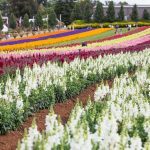 This 14 acre garden features a paradise of Giants of the Amazon to ancient Japanese flowers and is open to the public until April 22nd 2019. The tropical style gardens feature dozens of man- made lakes, ponds, lagoons and even a waterfall each filled with hundreds of varieties of flowering lotus, waterlilies and a plethora of stunning plants. 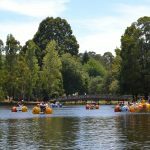 ‘Monet’s Lake’ is the special feature of the Garden is which is the largest lake on the property holding 11 million litres of water. The lake contains over 70 varieties of waterlily flowers including a prized collection of Claude Monet’s original waterlilies from his garden in Giverny, France. 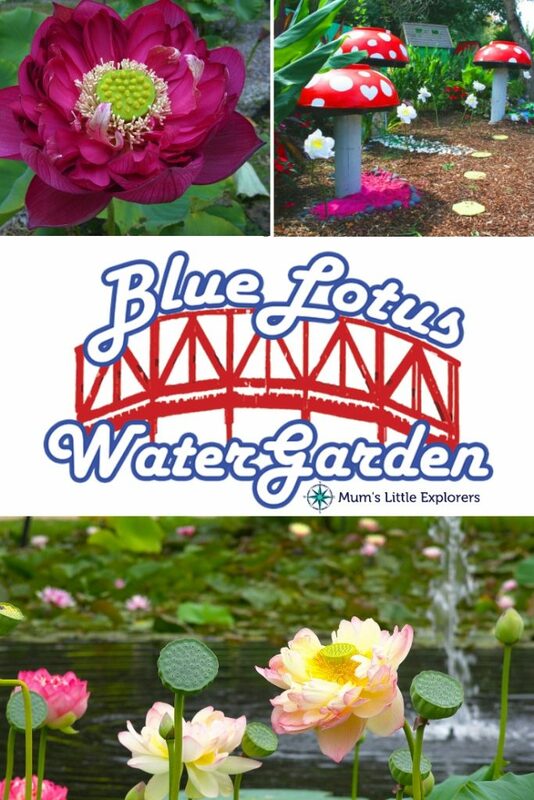 The Lotus Wetlands is a virtual forest of lotus flowers and is home to some of the Garden’s favourites including Mrs Perry Slocum, Cream Lutea, Carolina Queen, Roseam Plena, Hindu and Green Magic. 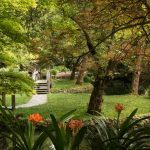 The ponds and lagoons in this area are edged with extensive garden beds full of perennial colour including impatiens, sunflowers, salvia and marigolds. Giants of the Amazon are on display in the Tropical World Complex, housing the largest species of waterlily known to man including the Victoria Longwood (hybrid) Waterlily. These amazing waterlilies are distinguished by their massive leaves, known as lily pads, which can reach over 2 metres in diameter and flowers bigger than a dinner plate. 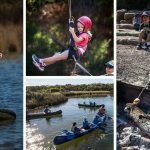 Perfectly located for a day trip from Melbourne, the Blue Lotus Water Garden makes the perfect family day out with the kids. 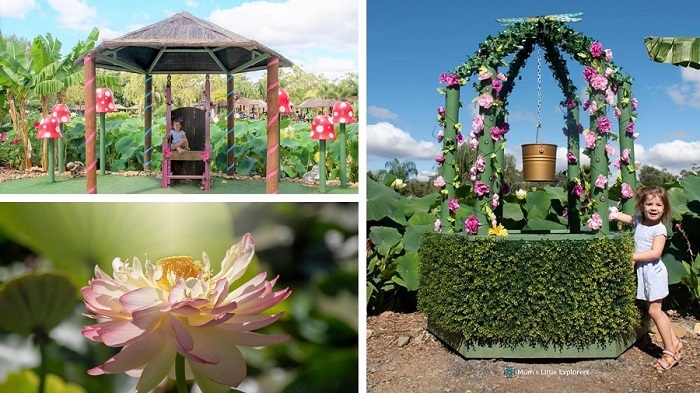 In this stunning oasis you will find a Flower Fairy Garden located on the shores of Silver Lotus Lagoon complete with fantasy cubby houses, a rainbow slide, wishing well and weekend appearances from the Flower Fairy Queen. And the best bit, kids entry is free! Adult $18, Students and Seniors $16. Children free (Under 16 when accompanied by an adult). 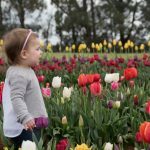 Make a day of it with the kids and head out of Melbourne for a day trip to the Yarra Valley to experience this paradise of flowers at the Blue Lotus Water Garden.